I want to say this is one of my favorite combinations - leopard and yellow - but I feel like a lot of things have become my favorites. But I will say I want to buy this yellow sweater - just to wear with my leopard booties. Also, this sweater is under $25! 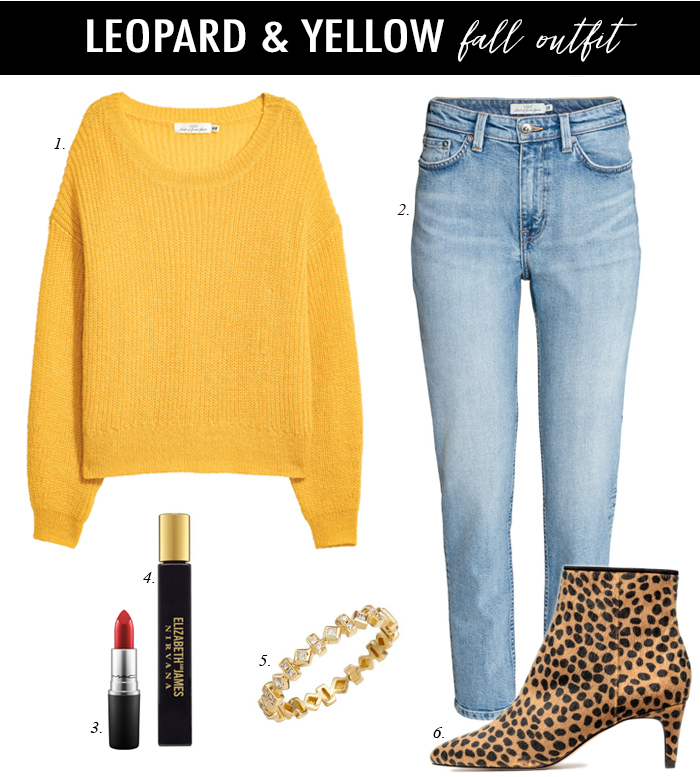 If you would like to see what yellow and leopard looks like in real life - I styled this look a few years ago (where has the time gone) - and it is still one of my top picks. This mustard colored crepe top is only $10 - and it also comes in a print. I bought this sweater - and I can’t wait to wear it when it gets cooler. These sneakers remind me of these very popular Golden Goose ones - but these only cost $35. This lace pencil skirt is only $25 - marked down from $50. This floral wrap midi skirt is on sale for $13. Also, comes in black. I have put myself on a spending freeze - but I really like this dress. I would love to style it this winter with a white button down and my over the knee boots that I picked up during the #nsale. This bell sleeve blouse in blush is 40% off - and comes in five other colors and prints. I am so bummed - I lost my favorite necklace at the hair salon - I think. I’m still hoping it shows up somewhere. This really cute tassel dress - in an even better color is marked down to $20. Oh I now love leopard and yellow! Such a great unexpected combo! I hope you find your necklace! 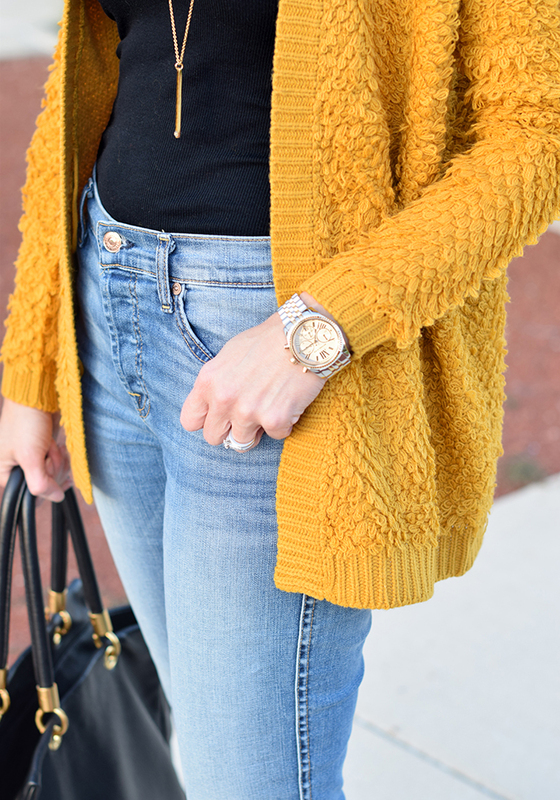 LOVE this mustard cardi! Such a great look, beautiful styling with our pop of leopard! 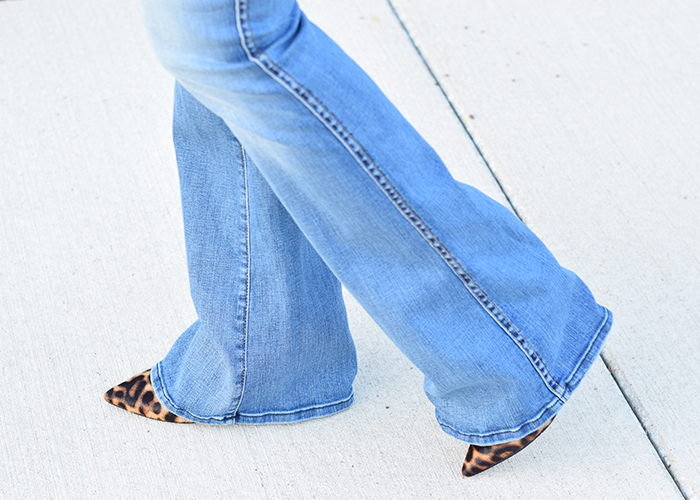 I love those jeans...so excited to have the wide leg back! I just love leopard and yellow, unfortunately yellow doesn't really like me all that much. But looks terrific on you! I love this combination! Great find on that sweater. Yellow and leopard is an awesome combination I always dream about putting together! I finally got some leopard flats to make it happen. Great outfit!